Monetti Homes is a full service, building and construction company based in Manahawkin, New Jersey, servicing Long Beach Island the surrounding areas. We focus on quality workmanship with attention to detail. Large or small, simple or complex, we have the knowledge and experience to provide you with a completed project that is exactly what you envisioned. During our initial consultation, we will spend all the time necessary to explain how the process works and what to expect. We have built solid partnerships with design professionals that will design your project and prepare all the documents needed for us to build your home responsibly. We also have long term relationships with all of our vendors which will provide you with the service you deserve well after your project is completed. Built with quality and care, your project will be managed by an owner. Excellent customer service and communication is our ultimate goal and our most important customer is you! From the initial consultation, we will meet with you to completely understand your needs and desires are for your new home. Since there are so many variables for a new home, it is essential to find out what’s important to you so we can help you chose the materials and components to make your home uniquely yours. The Monetti Homes team has been constructing new homes in Manahawkin & Long Beach Island, NJ for over 70 years. Is your family outgrowing your current home but you love your neighborhood? We can design and build an addition to give you the space you need. Our pool of design professionals can help you figure out how to create a space that works for you and your budget. Turn to our Long Beach Island, NJ contractor to design your extra living space you need. With our vast experience in all phases of residential construction in Manahawkin, NJ, and along the Ocean County coast, our company is perfectly suited for all your home’s needs and your desires. Whether it be a kitchen or bathroom remodeling project, our staff and trades can transform your home into an updated and modern space. Is your bathroom outdated? Do you love to cook and desire an updated kitchen space? No matter you motivation, we have done hundreds of these types of home remodel projects throughout Long Beach Island, NJ, and always with excellent results. All our staff and trade partners are fully equipped and experienced to excel at working in an existing home. As a RREM certified contractor in New Jersey, we can raise your home to conform with the new FEMA regulations, municipal codes and insurance regulations. If you have a house raising need, we’ll be happy to meet with you and explain how the process works from start to finish. From adding a deck, tweaking your interior space or even performing landscape work that needs to get done, we’re here, ready, willing and able to help. Even small projects like installing a screen door, having your home cleaned and prepped for the summer season are some of the things we can do. At Monetti Homes, we offer quality services for homeowners in Manahawkin and Long Beach Island, New Jersey. Monetti homes has over 30 years of experience and we’ve pleased thousands of clients. From building entire homes to just doing custom cabinetry we are guaranteed to provide what you’re looking for. Unlike other contractors we highly value the happiness of our clients from start to finish. We insure that all our job sites are kept professional as possible. No project is rushed and every design is thought about with strenuous detail. We go above and beyond and strive for the very best. Hard work pays off. We’ve been congratulated for our fantastic work several times, and plan to keep our projects on the same caliber of excellence. We’re happy to show off our fine works, take a look at our portfolio to see what we have done for our clients. 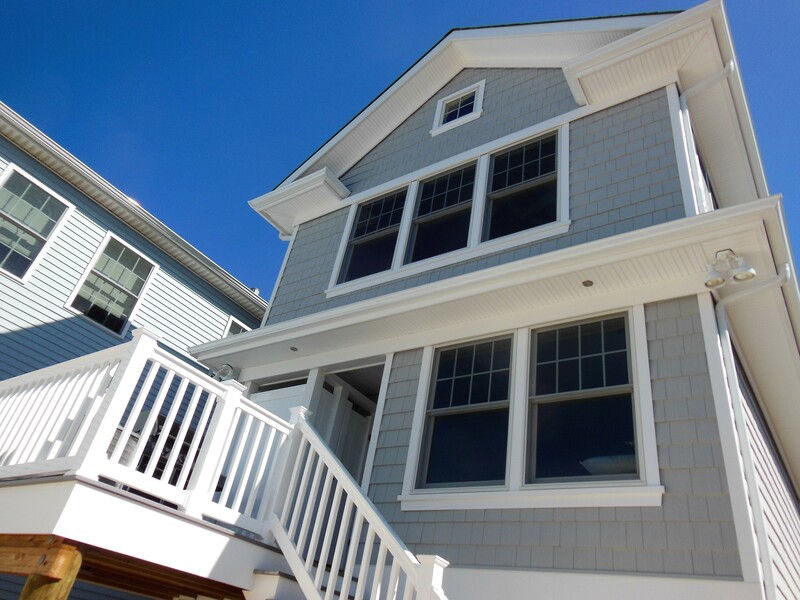 In the spring of 2017 Tom Monetti of Monetti Homes LLC completed our new beach house in Beach Haven. It is everything we planned and hoped it would become, which is Feng Shui by the bay. This testimonial openly publicizes Tom’s fine work for consideration by future Monetti Homes’ clients. Starting with planning and coordination at the completion of the architecture stage, the transition from design to bid proceeded smoothly as Q&A was direct between the architect and builder avoiding any dropped details. The quote stage went surprisingly well. Bids were invited by multiple custom builders. Comprehensive quotes created a best-case owner’s dilemma by very close bids from excellent builders. As a licensed engineer who appreciates the endless range of options with many corresponding construction details, high fit and finish expectations were the objectives communicated. Surprisingly it was difficult to select between exceptional quotes by highly qualified builders. After a multiday detailed dissection of the array of factors for consideration, the winning quote was selected and the job was awarded to Monetti Homes LLC. Having led the efforts for many large contracts in my profession, it becomes clear that “contract police” don’t actually exist, though some still fantasize otherwise. Those that don’t appreciate this important matter open themselves to unprincipled contractors with escalating costs. If a contractor cannot be trusted to get the details right, then the written contract is of little real help to keep progress on track. Trust is the key to success which is established by one’s character. Tom’s principled character mattered greatly to us. Monetti Homes is a wise choice for a principled contracting. Coordination between the township for the permits, the surveyors, the house demo contractor, and the piling installer all proceeded smoothly with Tom coordinating between each. The framing started promptly after the pilings were set. Communications were frequent and helpful keeping the build-flow moving along. Staying ahead of the subcontractors by providing the many detail decisions before-hand was the intent for preserving schedule. Mostly the build advanced with design selections staying ahead of schedule but occasionally back-ordered product selections backfired disrupting the plan. Unexpected back-orders happen. Nevertheless, recovery with Tom’s support was reliable bubbling up attractive options while avoiding unacceptable compromises. Honest communications and flexibility is Tom’s way forward. Identifying worthwhile options was highly valuable and anticipated by Tom’s quote. One contract option for adding spray foam insulation to the building caused smiles right from the start of moving into the house. Both spray foam plus traditional glass fiber batting was added for the combined purposes of highest energy efficiency and sound attenuation between floors. The results are conclusive producing a very comfortable house whether it’s cold or hot outside. The energy bills are lower than predicted and sound attenuation is highly effective keeping peace between adults and the younger ones. Adding spray foam is a highly recommend investment especially because it pays for itself within a few years. Fit and finish are self-evident with Monetti Homes. It is simply in Tom’s DNA to build nice things. He does it right the first time and pleasantly surprises with finish details. There was not a single item that required any level of redo. The fit and finish have been commented by multiple real estate professionals as highest quality, which we concur. Expect the best fit and finish from Tom and his crew. I had met multiple subcontractors doing their specialty portion during the build. I am particularly sensitive to how the subs are treated by the general contractor. This is where custom building meets its friction zone. It became obvious the relationships between the subs and the General Contractor Tom were healthy and happy leading to things getting done right without compromise. Progress payments were always handled properly with no funny business. Tom has dedicated his professional career to becoming a competent builder and project manager. He starting to learn how to swing the hammer building houses with his grandfather. He was taught well; both leadership and construction skills are solidly forged, but he still obviously enjoys to doing some of the work himself. Tom is perpetually enthusiastic and takes real pride in doing it right, first time! The build wasn’t without some minor details to attend. But what matters most is that all issues were communicated promptly with an honest and open manner avoiding surprises. Expect Tom to bring his own constructive ideas too. He brings timely and value-added thinking as the build progresses. You can’t ask for more.